How to test your Website on Windows Phone Emulator in Microsoft Web Matrix? How to verify Your PC if it can run Windows Phone 8 Emulator? 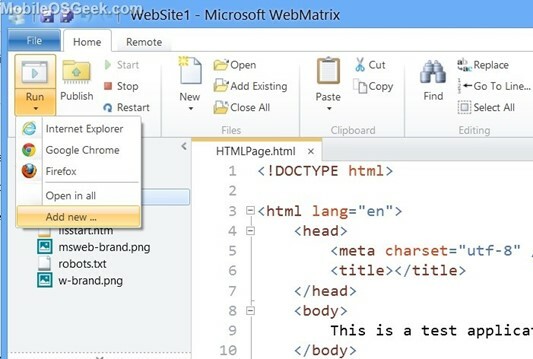 If you are using Microsoft’s Web Matrix to develop websites and want another option to test the website on Windows Phone emulator, you can follow the below steps. 1. Open the website in Microsoft Web Matrix. 2. Click the Run dropdown list and click “Add new”. 3. 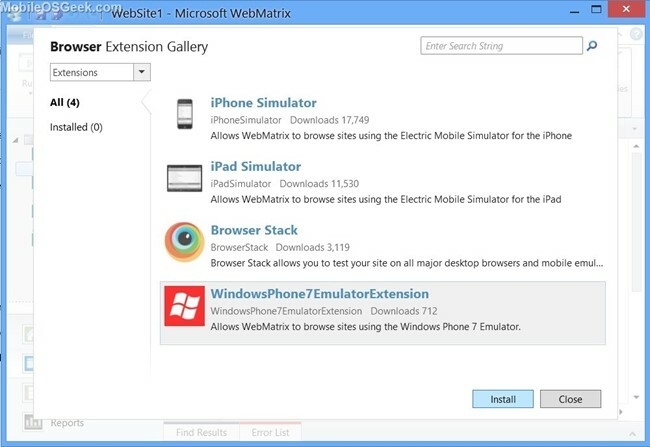 In the Browser Extension Gallery, select the extension (Windows Phone 7 Emulator extension) from the list of available browser extension (iPhone Simulator, iPad Simulator etc.) and click install.